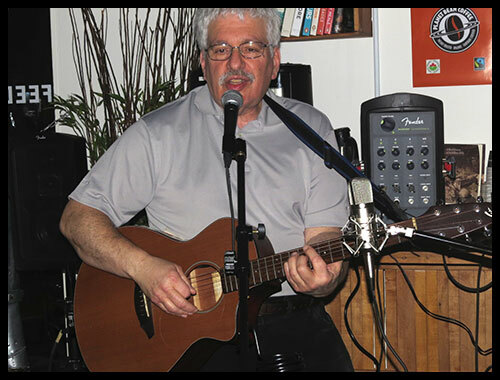 Mark Yan regularly performs in this area, often with another popular performer you’ll hear at Fanjoy, Barry Mulcahy. As a duo they opened for the Juno nominated group ‘Dala’ in 2017 in Brampton. The first video sample below is from a special appearance in October 2018 by Mark Yan with Mehran Zarrabi from Iran, on “tombak”, the signature hand drum of Iran. On flute is Wayne “Neon” – who also plays guitar and sings. They were unrehearsed and improvising on these songs. The second video is an original song composed by Mark Yan.